Clark Seif Clark (CSC) provides testing and consulting services to protect workers and their families from lead and other toxic heavy metals. 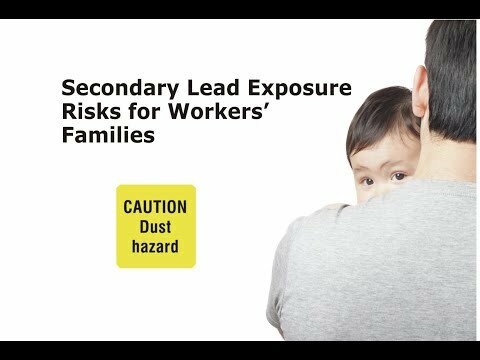 The Occupational Safety and Health Administration (OSHA) states that take-home lead can cause lead poisoning in children and other family members. Today, in the United States, there are a number of rules and regulations in place that are designed to protect workers from occupational exposure to lead hazards. Unfortunately, these are not always followed, putting workers and their families at risk. According to the Agency for Toxic Substances & Disease Registry (ATSDR), the major exposure pathways for workers are inhalation and ingestion of lead-bearing dust and fumes. These same workers, in some circumstances, could also be creating a secondary source of lead exposure for their families if they bring home lead-contaminated dust on their skin, hair, clothes, shoes or tools. In fact, the Occupational Safety and Health Administration (OSHA) states that take-home lead can cause lead poisoning in children and other family members. The agency recommends workers stop lead from getting into their homes and vehicles by always washing, showering and changing out of work clothes and shoes before leaving work. To learn more about lead or other indoor air quality, environmental, occupational, health and safety services, please visit www.csceng.com, email csc@csceng.com or call (800) 807-1118.